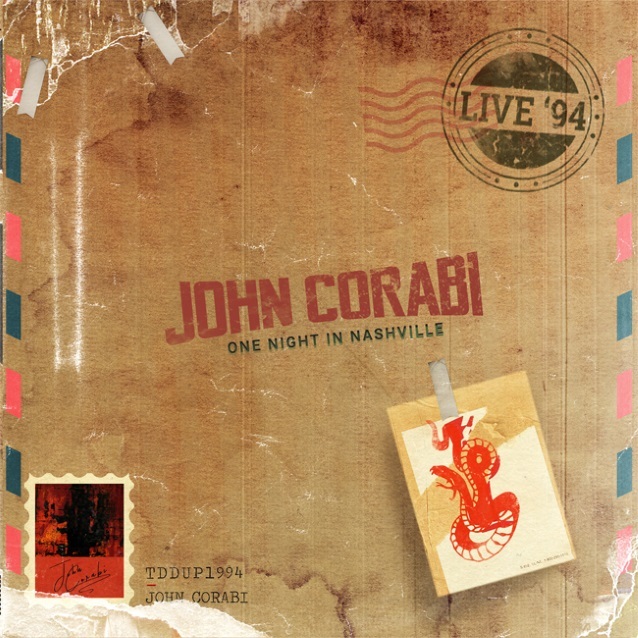 Former MÖTLEY CRÜE singer John Corabi will release a live album and DVD of his performance of the band’s entire 1994 self-titled album, recorded on October 27, 2015 in Nashville, Tennessee. 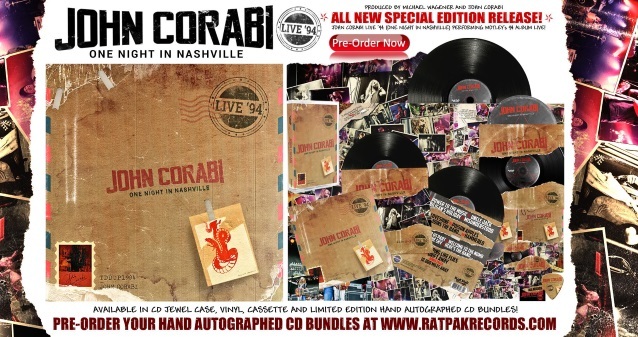 Due on Friday, February 16 via Rat Pak Records, “Live ’94: One Night In Nashville” documents the album in its entirety along with the bonus track “10,000 Miles” which was originally released as a bonus track on the Japanese version of the “Quaternary” EP. “I love the way this record came out. I wanted something pure, and I think we’ve got it here!” exclaims Corabi. The “Live ’94: One Night In Nashville” band is comprised of John Corabi (guitar, vocals), Jeremy Asbrock (guitar, vocals), Phil Shouse (guitar, vocals), Tommy Daley (guitar) and Ian Corabi (drums, percussion). The album was recorded live at The Basement in Nashville and contains no overdubs or backing tracks. The recording even includes two tracks of Corabi addressing the crowd about his time in MÖTLEY CRÜE. You can pre-order “Live ’94: One Night In Nashville” at this location. Corabi originally joined CRÜE in 1992 as the replacement for the group’s original singer, Vince Neil, who was fired due to personal differences. With Corabi on vocals, MÖTLEY CRÜE released one critically acclaimed full-length CD, which ended up being a commercial failure in the wake of grunge despite a Top-Ten placing on the album chart. When Neil returned to the fold in 1997, Corabi was left on his own and formed the band UNION with ex-KISS guitarist Bruce Kulick. Corabi in 2016 said that he would avoid talking about MÖTLEY CRÜE in the future because he didn’t want his comments about bassist Nikki Sixx to descend into a feud. Corabi in 2015 contributed lead vocals to two songs from MÖTLEY CRÜE guitarist Mick Mars, apparently called “Gimme Blood” and “Shake The Cage”, which were recorded at Blackbird Studio in Nashville, Tennessee. The tracks have yet to be released, although snippets of both cuts have surfaced online.